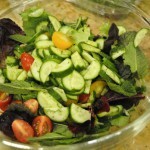 This makes a wonderful first course to a Shavuot Dairy Dinner or a light midweek dinner when you have had a big lunch and just want a little something tasty. The other day I bought a beautiful pack of very fresh looking Portobello mushrooms and then, I saw the cherry tomato Sweet Hearts packs with the cute almost heart shaped tomatoes still attached to the vine, and I bought those also. 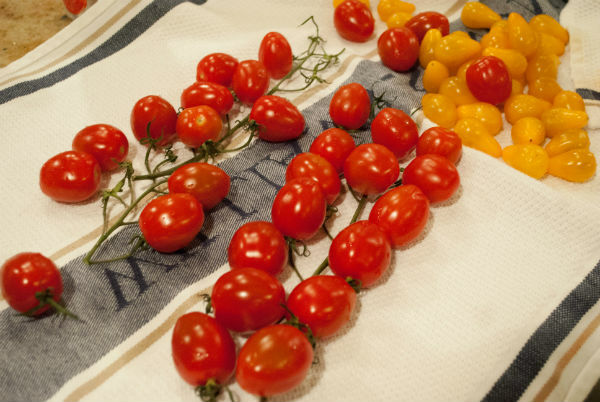 You could use any of the wonderful new small heirlooms or cherry tomatoes. Next, a small box of yellow tear drop tomatoes, and a small plastic container of fresh mozzarella ciliegine (small one inch size balls), a large bouquet of fresh and fragrant basil, and those new gluten free crisps and my purchase was complete. 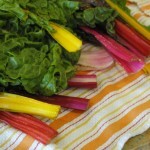 You could substitute thin slices of crunchy baguette or any other cheese like goat or feta if you prefer. 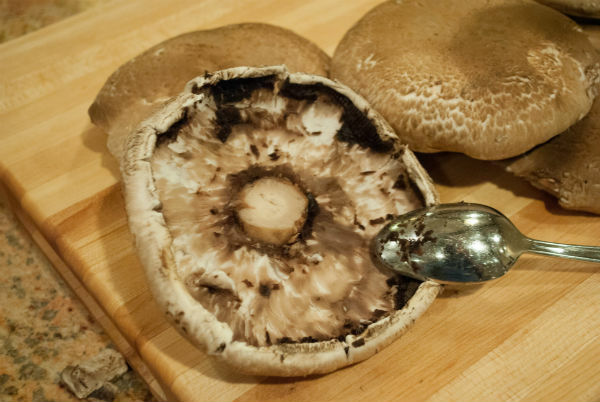 Heat oven to 350° F. Scrape out the brown gills on the underside of Portobello using a teaspoon or grapefruit spoon. I find the gills unattractive and they stain everything. 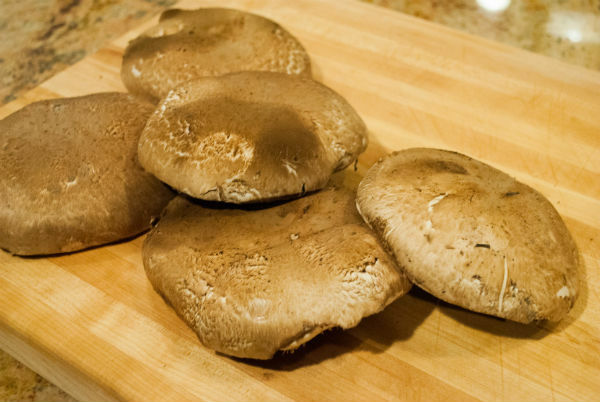 Wipe tops of mushrooms with a moist paper towel. 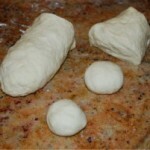 Using an oil sprayer or a pastry brush coat mushrooms with a bit of olive oil. Season with salt and pepper. 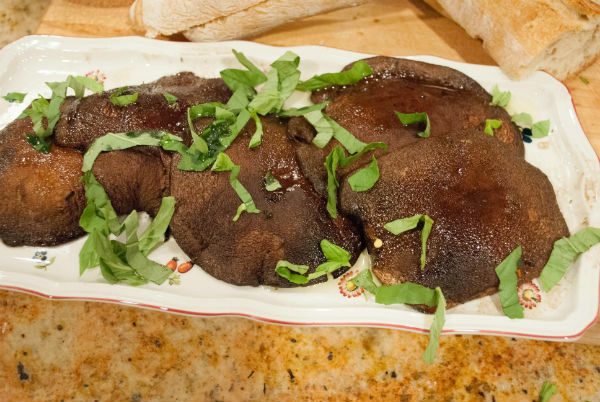 Coat a baking sheet with olive oil and place prepared mushrooms on top. 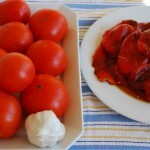 Wash and dry tomatoes, coat tomatoes in some olive and prepare a baking sheet as for mushrooms. 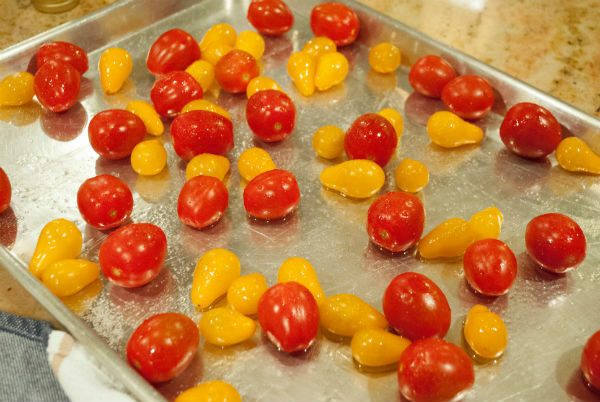 Spread tomatoes on baking sheet and season with salt and pepper. Place both baking sheets in preheated oven. 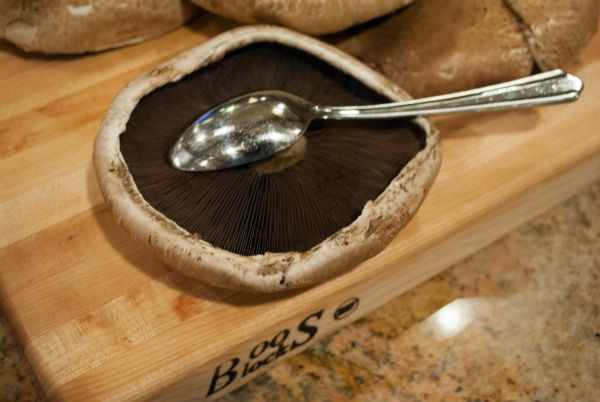 Bake mushrooms until succulent and juicy. They shrink. 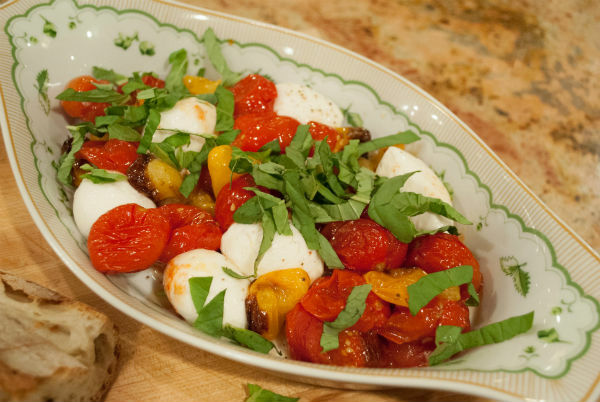 Bake tomatoes until collapsed, browning, and caramelizing. To serve, prepare individual composed plates or trays for buffet. 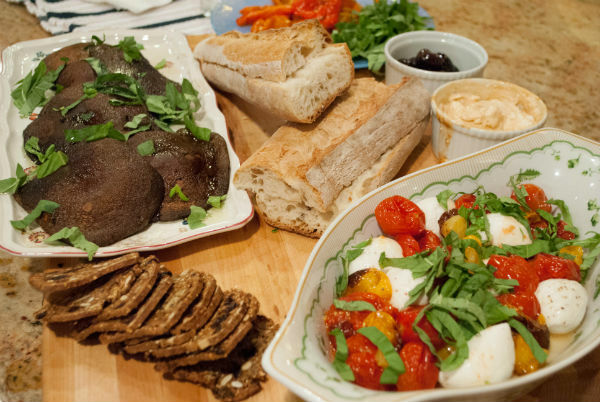 Place tomatoes, mushrooms, several crisps, ciliegine (season ciliegine with salt and pepper) on plate and cover all with basil ribbons. 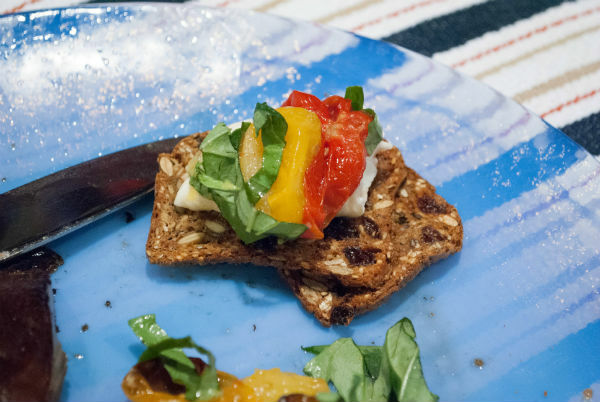 You can drizzle more olive oil on top if you wish. 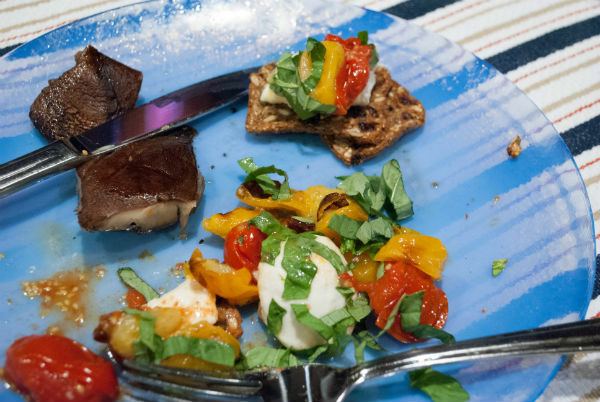 You could also augment the dish with some grilled bell peppers and Kalamata olives.